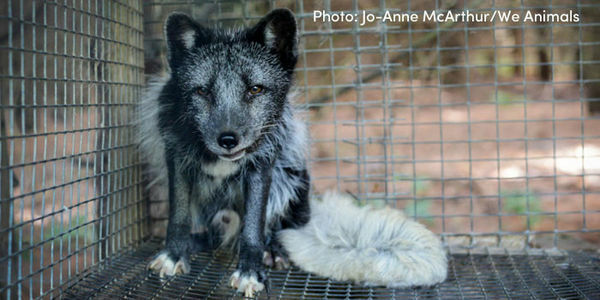 petition: Urge Prada to go fur free. Sign now to email Prada. Urge Prada to go fur free. Sign now to email Prada. Prada has fallen behind competitors – including Gucci, Versace, Armani and Michael Kors – that have already gone fur-free and joined the Fur Free Alliance's Fur Free Retailer program. Unlike Prada, these brands understand that there are quality alternatives that are indistinguishable from animal fur and consumers want nothing to do with a product associated with extreme cruelty, which is all too common in the fur trade. Animals are suffering on fur farms and in traps right now. Can you please take one minute to ask Prada to go fur-free? Clicking 'sign now' will email the petition letter below from your email address to 15 corporate email addresses at Prada. I am shocked and saddened that Prada continues to profit from the cruel fur trade when there are so many warm and fashionable alternatives available. I will not support Prada until it goes fur-free like so many other brands – including Gucci, Versace, Armani, Donna Karan, Michael Kors and so many more. Please choose compassion and go fur-free. Thank you. The email above will be sent from your email address to the Executive Staff and Board of Directors at Prada. Prada's runway show takes place 20 September at Milan Fashion Week. Click here to send a tweet to Prada urging them to go fur free! If you're not on Twitter, reply to Prada's latest Facebook Post. Thank you!